Once I got home, though, I wasn't really in a cake mood. I still wanted the crumb topping because, let's face it, that's the best part. But I was feeling like doing something more simple with the apples. Pie filling is simple because it's really just apples, sugar and lemon juice so I decided to combine the pie bottom with the cake top. 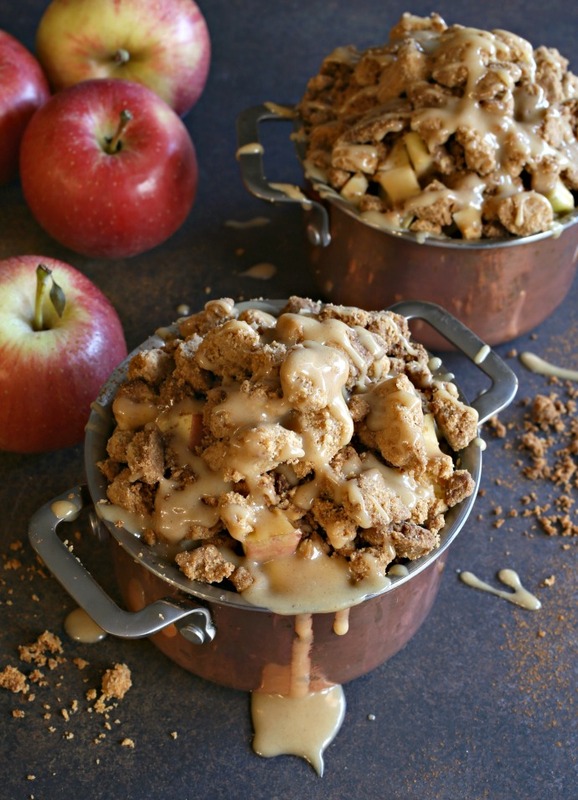 I added the sweet, lemony diced apples into little baking pots and topped them with crumb topping. And since I already had an apple and peanut butter combo in mind, I added some of the peanut butter to the crumb dough and then made a peanut butter glaze to pour over the top. In the oven, some of the crumb topping melted down into the apples, giving them a slightly cake like texture anyway so this recipe was a win-win. And definitely make extra of the peanut butter sauce because you will want to pour it on everything. Enjoy! 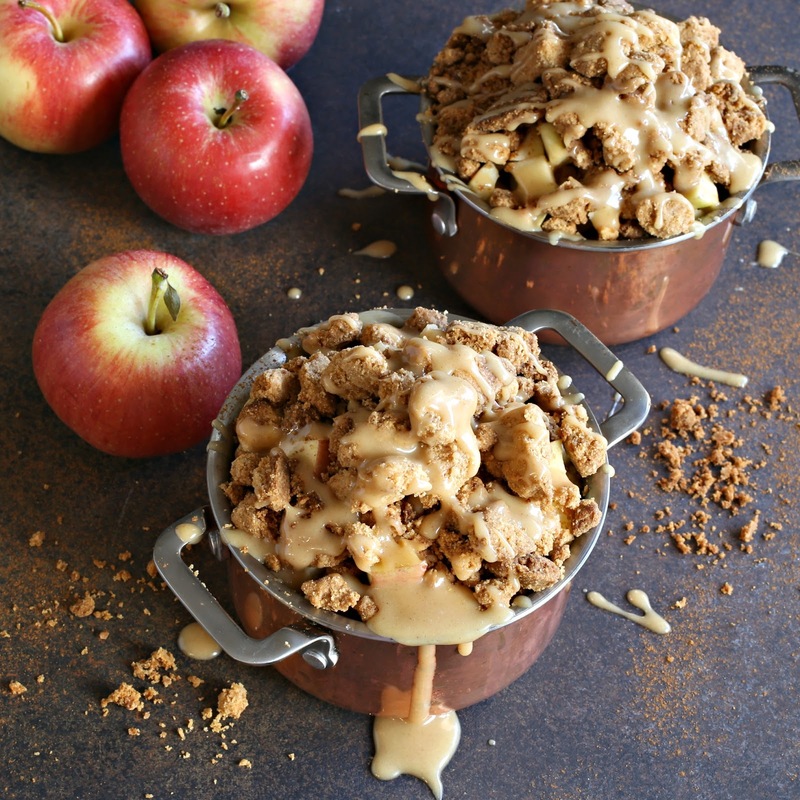 Recipe for an apple dessert baked in individual pots and covered with a peanut butter crumb topping and peanut butter sauce. Peel, core and dice the apples. Add them to a large bowl and toss with the sugar, lemon juice, lemon zest, flour, cinnamon and salt. In a separate bowl, make the crumble by mixing together the flour, sugar, melted butter, peanut butter and salt. Use your hands to stick it together into clumps. 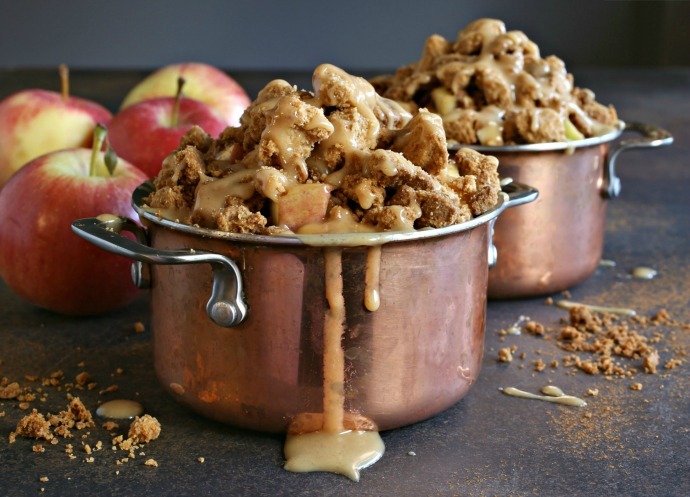 Divide the apple mixture into 4 oven safe small pots and crumble the topping over it. Note that you can also make this in one large pan. Bake for 20 to 30 minutes or until the crumble is a light golden brown. In a small bowl, stir together the melted butter, powdered sugar, peanut butter, milk and salt until smooth. 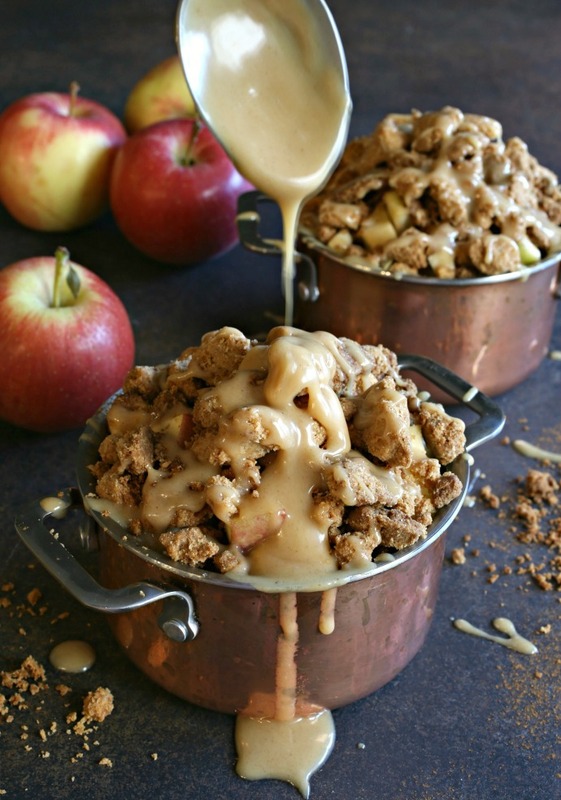 Drizzle over the baked apple crumbles.